Sometimes you have to take risks to really count. Zero is all alone in the land of Digitaria. He can't play addemup with the other numbers, because he has nothing to add. Join Zero as he goes on a journey to discover his place. 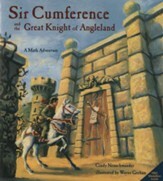 His quest takes him from the mysterious workshop of Count infinity to the palace of King Multiplus, where Zero meets a stranger who looks surprisingly familiar. 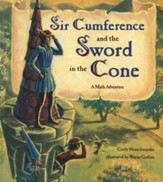 Recommended for ages 5 to 9. 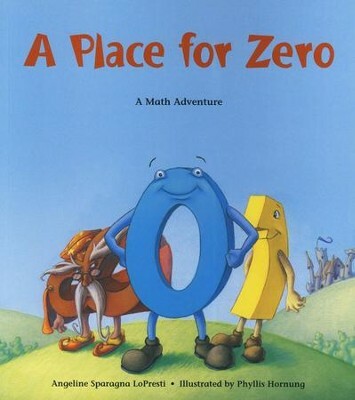 Join Zero on his math adventure as he discovers his place through multiplication. Zero is lonely in Digitaria. He can't play Addemup with the other numbers because he has nothing to add. All the other numbers seem to belong and they all have a place, but when zero discovers multiplication he thinks he might have a place there. He sets out to find King Multiplus who also is curious about what will happen when Zero gets thrown in the mix. With math and wordplay A Place for Zero is the perfect introduction to multiplication and number placement. 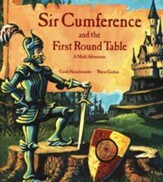 A playful way to make math less intimidating and more fun to explore. 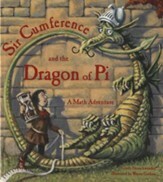 A native New Yorker, Angeline Sparagna LoPresti taught math to second through eighth graders for twenty-five years. Prior to her teaching career, she was a medical research assistant at the Department of Bacteriology at Cornell University Medical School. Now retired, Mrs. LoPresti occupies her leisure time with indoor gardening, reading, cooking, and photography. I'm the author/artist and I want to review A Place for Zero: A Math Adventure.